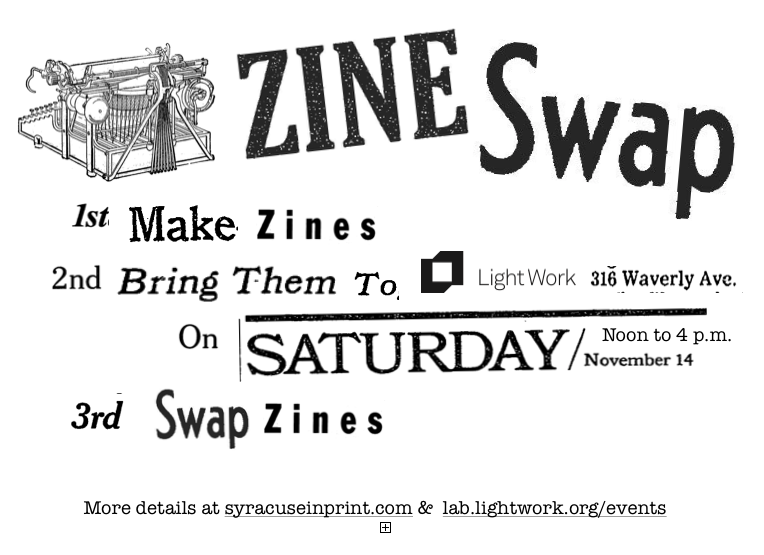 We’re co-hosting a zine swap with Light Work on Saturday, November 14 from noon to 4 p.m. Bring as many zines as you want to trade and we’ll organize the swap. We’ll also have a few workshops/demos with local artist working with print media. Not sure what to write or how to make a zine? Head over to our Make Zines! page for ideas.